“Mid-Mo” picture, after day 13. The Movember Foundation is the leading global organization committed to changing the face of men’s health. To date $574 million has been raised through 800 programs in 21 countries. The work is saving and improving the lives of men affected by prostate cancer, testicular cancer, and mental health issues. These are items that men are very uncomfortable talking about. What men may not be aware of, is that a staggering 1 in 9 men will be diagnosed with prostate cancer sometime in their lives. Early detection is the key for survival. The brave men , the “REAL Mr. Movembers” are those men who with regular screenings, get the easy and painless preventative exam to catch prostrate cancer early. One such Mr. Movember was Pierre, who was part of our running team last October at Toronto’s Waterfront Marathon. This is his story. “I lost my dad to prostate cancer in 2000, so I knew I had a higher risk to be affected with the same cancer. At the age of 50, I started the PSA testing and a rectal exam which some men think it’s the colonoscopy exam. It is not the same exam. At the age of 54, I was scheduled to see my family doctor and her receptionist advised me that only the PSA test was going to be done because OHIP would only pay for the physical examination every 3 years. I was in no way going to accept this. After a lengthy discussion with the receptionist I was able to convince her to schedule me for both the PSA and the physical exam. Shortly after, I had my appointment with my family doctor and this is when she found my prostate to be abnormal but my PSA results were normal. I was referred to an Urologist. Again after more PSA testing and a physical examination I was scheduled for a biopsy. The results weren’t cleared so I was scheduled for another biopsy. I received a call from the urologist office to come in for the results. Sylvia, my lovely wife told me she was also coming with me at the office for the results. Well I did not think it would be necessary for both of us to be there but she was right because the results were not good. The four words no one ever wants to hear “you have prostate cancer “. The good news was ,the cancer was in the early stage. It was decided to have the prostate removed. 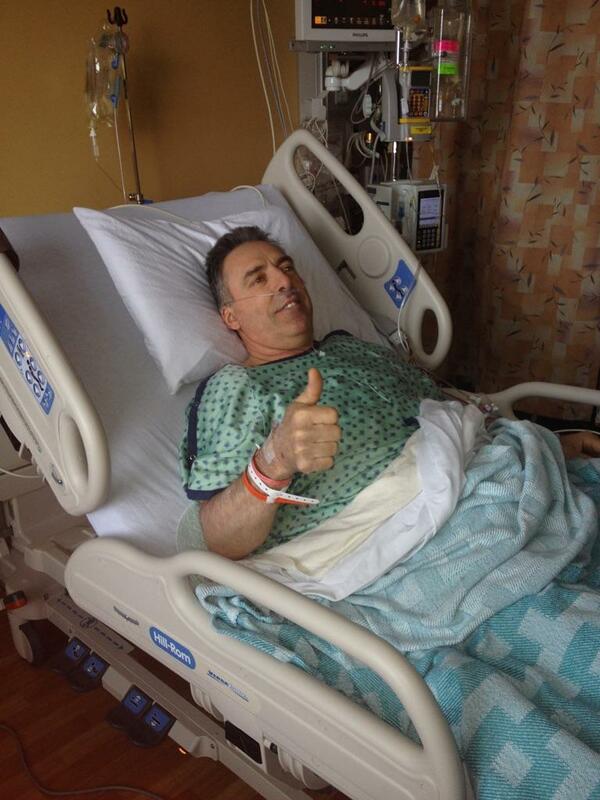 Then at 55 years old, May 8th, 2014 I had surgery. Later I received the results and they were in my favor, the cancer had not spread out of my prostate meaning no other treatments were needed. It’s been over six months now and I’m recovering fine. The only issue that I have encountered through all this is following surgery, almost all patients experience temporary incontinence and the disposal of my protection guards is always a challenge when in a public place. There is no garbage cans in any stalls in men’s washrooms. In some cases, where everything is touch less there is no garbage can in the washroom at all. I know I’m not the only guy out there with the same problem because when I go to the store to purchase my guards, if they are on “sale” they are sold out. Anyway I believe with your help we can make a difference. If you need anything, please let me know. I will try to attach a picture. THANK YOU Pierre, for bravely sharing your story. One thing I have NEVER thought of, is what to do with the disposable protection guards for men with incontinence, when there are no garbage cans in men’s washrooms. This issue is becoming more and more common, as more and more washrooms are going “touchless”. Pierre mentioned at the marathon, he would have to discreetly have to carry them out until he located a garbage container. This is something that really needs to be addressed. Pierre’s cancer surgery was on May 8th, and October 19th (just over 5 months later), he completed the half marathon of 21.1 kilometres in Toronto. This is such an AMAZING accomplishment, a testimony to his will and determination. Health care coverage is government covered for the most part in Canada. Yet Canadian men continue to stay away from doctors (and unfortunately up to now, I have been one of them). A Globe and Mail (one of Canada’s national newspapers) had an excellent article last Wednesday titled “Have Your Say: This Movember, how do we convince men to get healthy?” Among the statistics listed, it mentions only 40% of men go for regular checkups, and 44% are not even moderately active. Had Pierre not have gone for regular checkups, or lived an active lifestyle, his fate could have been FAR, FAR different. 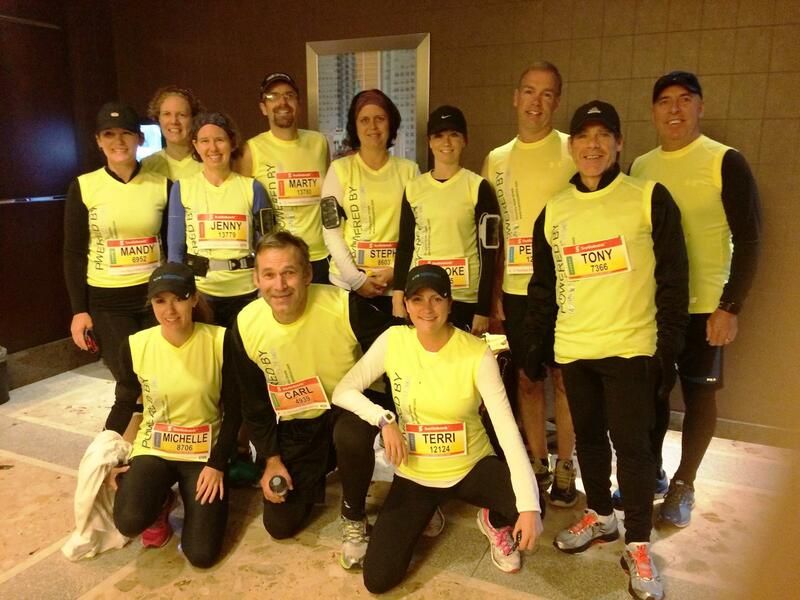 Pierre (standing back row, right side) decked out for his half marathon, just over 5 months after cancer surgery. Thank you for reading, and thank you Pierre for bravely sharing your story. We really CAN make a difference. Great post Carl. Excellent way to raise awareness with Pierre’s wonderful story! Thank you Paige. Was SO amazed with Pierre’s courage, both in sharing his story to get the word out, and running that half marathon. Another great post addressing an issue that definitely needs to be highlighted. As women we need to push our men to have regular check ups, I know my hubby only goes kicking and screaming. Also never thought of disposal bins in mens toilets for men in those and similar situations. Why has this not been addressed? Thanks Beth for your kind comment. I am becoming much better as far as check ups, I think my doctor’s visits were 10 years apart in my 20’s and 30’s. It would be so much less humiliating for Pierre and others in this situation, if there were disposal bins in men’s toilets. Pierre specifically asked if I would mention this on my blog, I guess because it never has been addressed. Education, awareness and advocacy are all so important. I had never heard of Movember. How fun–all the mustaches. What a great way to raise awareness for these mens’ health issues. I hope Pierre is doing well now! Thank you for sharing your story, Pierre! Thank you April so much for stopping by, and reading and commenting. 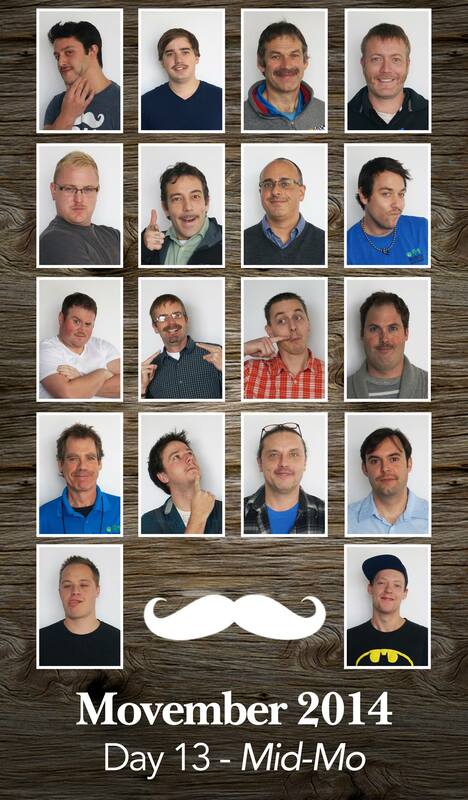 The company where I work for my day job takes Movember very seriously, and really gets on board. This year has been my 3rd Movember, before that I had not heard of it either. Your comment April got me curious, so I did look up the history, and it was started by 30 men (Mo brothers) in Australia in 2003. Thank you so much for dropping by Kutukamus. It is a lot of fun, and gets more exposure each year for men’s health. Not fully global yet, this link will show you which countries involved. Trust all is well with you and your family! What a wonderful twist on Movember posts! 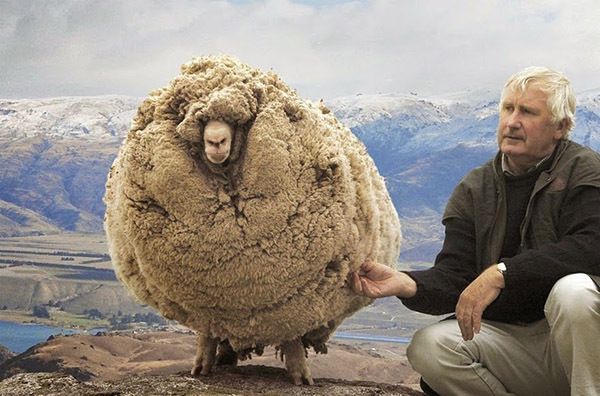 I’m glad to hear your friend Carl is alright now! I need to get my parents to start doing annual checkups as well – they’re both around that age.